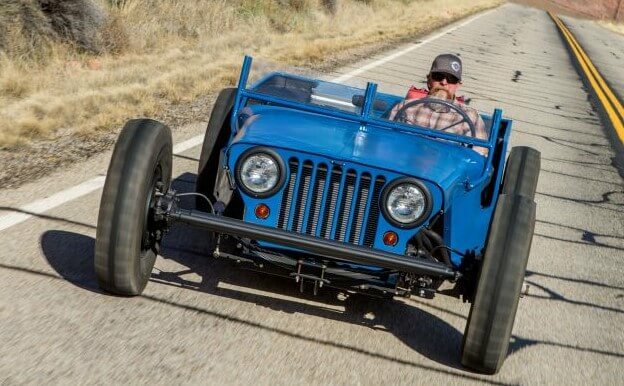 Jeep Hot Rod - a cool build doesn't have to be expensive! 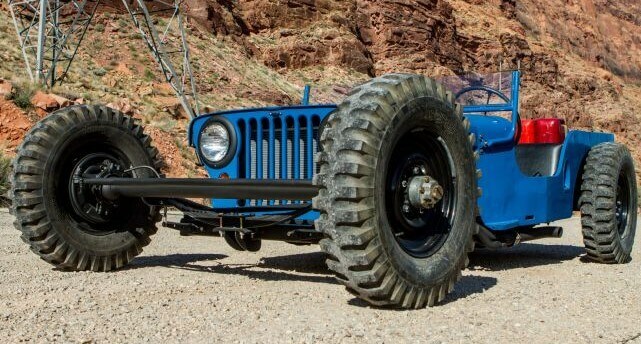 Jeep Hot Rod! Ward Williams is an off-roader and a Jeep enthusiast. 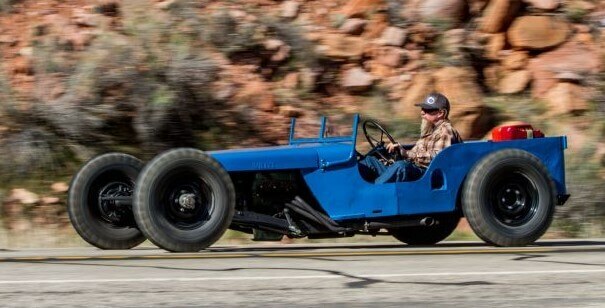 He always wanted to build a hot rod to cruise around town, so it’s no surprise he built a low-slung flatfender. He used spare parts he had laying around from other projects and combined them to build a fun cruiser for around town. Ward started with a 1947 tub that came with a title but little else. He put the tub on a boxed military M38A1 chassis and built a bench seat and a chopped windshield for his cruiser. As drivetrain he put odd-fire V-6 engine out of his rockcrawler that is backed by a BOP-pattern TH400 out of a 1968 Oldsmobile. There is no transfer case on this flatfender, instead a stubby driveline routes power to the big bearing Ford 9-inch out of a pickup, complete with an unknown gear ratio. This is a very cool build that cost very little money. That was his goal and he achieved it. Check out the crazy Jeep Hot Rod! Portable air compressor and how to use the oil-free version properly! 1969 Chevrolet Camaro “Under Pressure”! Don’t use cheap truck tires and always check tire pressure! World’s Most Dangerous Ride, Anybody Up For It?? 2017 Nissan Silvia S16 is to become reality soon!! !